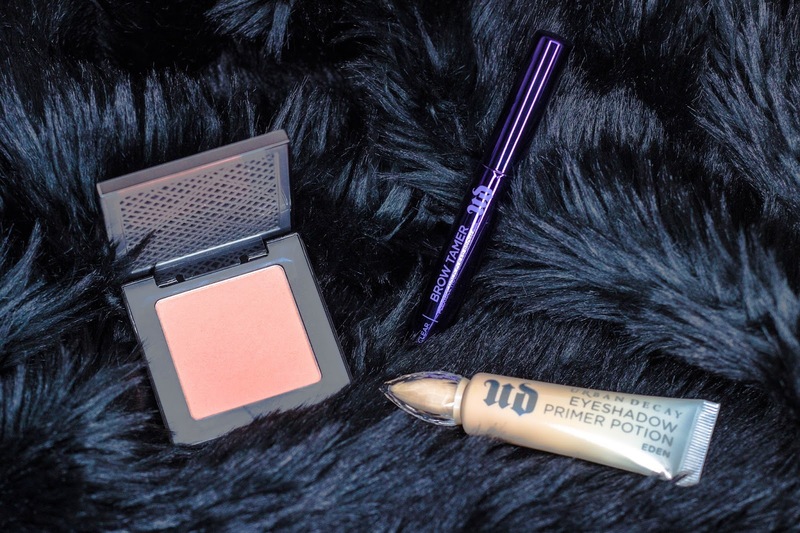 When I first got into beauty blogging back in 2013, the Urban Decay Naked Palette was the product to own. Consequently, Urban Decay's beauty releases will always have a special place in my heart that reminds me of sleepless nights refreshing stats, broken sidebars and making new internet friends on Twitter. Find out what products I acquired in my latest haul below. I didn't think I could love a skin-toned primer more than my trusted MAC Pain Pot in Painterly. That was until I used Urban Decay's Eyeshadow Primer Potion in Eden*. It's pigmented and mattifying it leaves me with the perfect bright eyes without a shadow of purple in sight. My favourite way to wear this is by using the handy doe-foot application - an upgrade to my Urban Decay Primer Potion in Sin* - to apply a swipe of primer to the eye and to blend it out using my ring finger or Real Techniques Bold Metals Oval Shadow Brush. Recently, I've been using it in conjunction with my Smashbox Cover Shot Eye Palette in Ablaze, which has a wonderful selection of warm-toned shimmers and mattes by setting the primer with Relaxed, a cream-tones matte shade and warming up my crease with Throwback, a burnt-orange for an easy to wear, everyday look. Indecent* is a coral-toned matte blush that lies somewhere between natural and neon. The entire blush range comes in, what can only be described as badass packaging with a satisfying metallic clasp. Just one word of warning, this blush is hella pigmented so use sparingly with a fluffy brush. 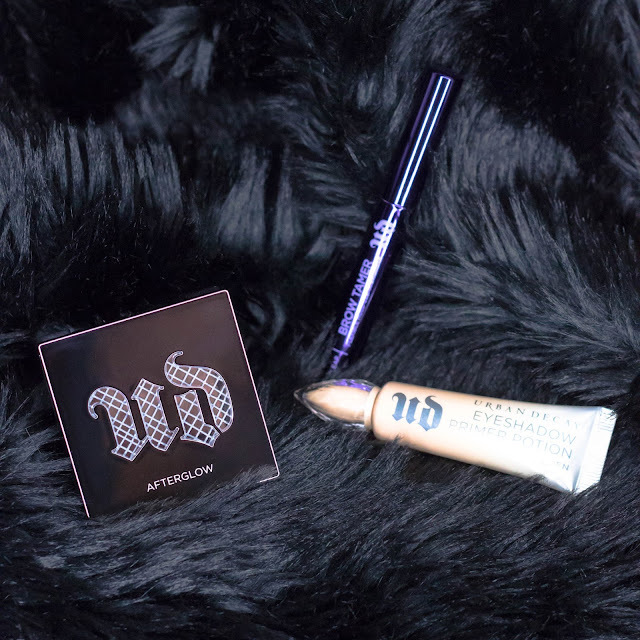 There's one really, truly brilliant thing about the packaging of this that makes Urban Decay's Brow Tamer* a thousand times better than any of the other clear brow gels I've tried. Can you think what it might be? Nope, it's not the brush, or the snazzy, new green and purple packaging. It's the fact that the tube is a dazzling shade of opaque purple. Every single other clear brow gel I have tried comes in a clear tube which, you know is going to get gunked up the second you apply the fixing gel atop of your brow powder which, really vainly, makes for terrible product shots. Such a first world problem, I know. My eyebrows aren't particularly bushy thanks to years of regrettable over-plucking but this seems to hold them nicely in place without making them um... crunchy.